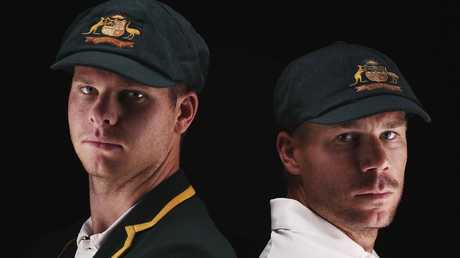 Steve Smith and David Warner are set to return for the Ashes. Greg Chappell's story of the underarm has suddenly become a relevant inspiration for Steve Smith and David Warner as they prepare to walk into the lion's den of an Ashes tour. The retiring Test selector and former captain has opened up in a documentary to be aired on Monday night on the emotional rollercoaster ride he went on following the infamous underarm scandal against New Zealand. Two of the darkest days in Australian cricket history were nearly 40 years apart and very different incidents in many ways, not least of all because bowling underarm did not constitute cheating under the laws of the game, unlike using a foreign object to tamper with the ball. However, there remain some interesting parallels. Chappell reveals on Channel 7's Underarm to air at 10pm on Monday night that the Cricket Australia board weren't in a position to sack him as captain, after taking legal advice that they "wouldn't have had a leg to stand on". 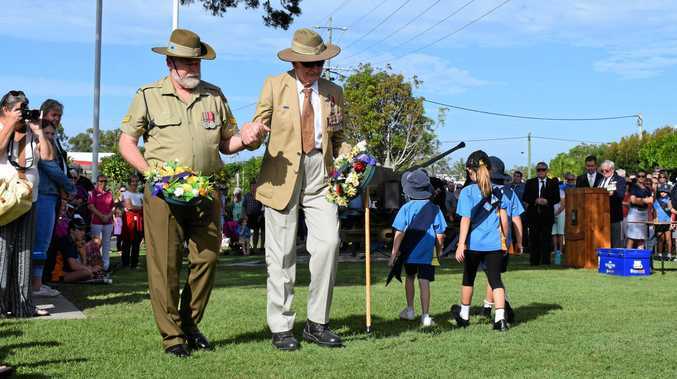 Instead he remained as Australian captain for a further three years following his decision to request brother Trevor bowl underarm as a measure to prevent New Zealand from hitting a six to tie a one-dayer back in 1981. Cricket Australia appeared to have little hesitation in sacking Smith 37 years later, yet there's been no suggestion that he considered legal action a CA investigation finding that Smith's only crime was to walk past a conversation in the dressing room and do nothing. Chappell says his anger at the ridiculous workload imposed on his team and particularly on him as captain pushed him to breaking point. The demands of a relentless international schedule were also used by many as an explanation for how Smith and Warner arrived at their brain snap. 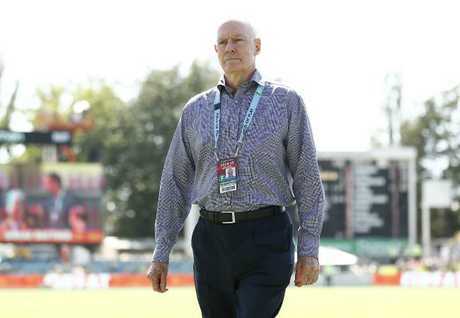 Australian selector Greg Chappell looks on during day three of the Second Test match between Australia and Sri Lanka at Manuka Oval. However, the most constructive lesson Australia's banned duo might take from Chappell is the surprising emotional experience he had returning to the middle. You could bet sandpaper is likely to be used as a prop by English fans this Ashes summer, just like a bowling ball was rolled out to the middle early in Chappell's return innings at Eden park in Auckland. Anxious about how he would be received by a fired-up kiwi crowd in the days' following, Chappell found that there was nothing more satisfying than letting his bat do the talking. "I was on edge a bit before the game. I wasn't quite sure of what kind of reaction I'd get from the New Zealand people," said Chappell in the documentary. "I was walking out, so they all started to let me know what they thought of the underarm and everything else they could think of and then all of a sudden I saw this bowling ball appear and a great roar from the crowd which probably drew my attention somewhat. "I had a bit of a chuckle to myself. All that did was to make me more determined to do well that day and it turned out to be a terrific cricket match." Chappell scored a hundred and said it was the most memorable moment of his career - a motivational tale for Smith and Warner. "I got a standing ovation when I walked off and it was quite amazing," he said. "I don't think I experienced anything quite like that in my career because it was the last thing I was expecting." In the first game back after underarm, which was at the SCG, New Zealand captain Geoff Howarth also surprised Chappell with a sportsmanlike gesture. It begs the question how international captains might receive Smith and Warner this winter in the midst of almost inevitable crowd and media hype when they return for the World Cup and Ashes. Howarth tapped Chappell on the backside and wished him luck as he walked to the middle to jeering boos from his home crowd. "It was the greatest act of sportsmanship I was ever on the receiving end of in my career," Chappell said. "I know I can't erase it and it's irrelevant even thinking about it."